If you like what we’re doing here and want to support us, you can also use one of the ‘donate’ buttons below to contribute whatever you feel is appropriate. As always, thanks for your support. 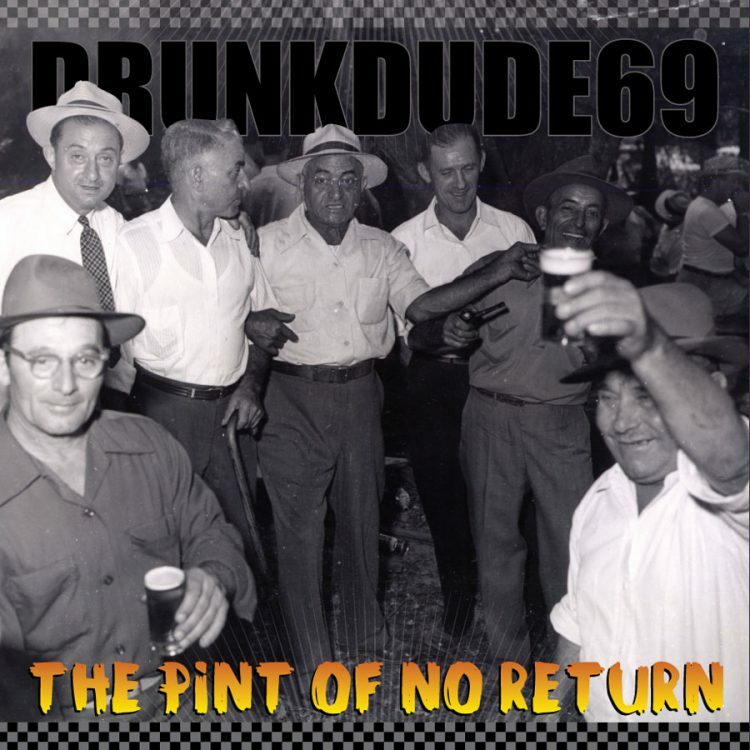 DD69’s fifth album leans back into the ska-flavored rock found on 2008’s “Funk Out With Your Junk Out”, with 8 songs that include new material, a re-worked early track, and the drunkdude take on the classic J. Geils Band song “Rage in the Cage”. For their fourth album, DD69 delivers another set of songs that blur the lines between funk and rock. Amidst the thumping bass and bristling guitars you’ll find smooth Hammond organ and bright horn sections mixed with hints of synthy chaos and tight vocal harmonies. We worked hard to keep production quality high, and we hope that you will enjoy listening to our songs as much as we enjoyed building them from the ground up. Thanks for listening! The record was still lots of fun and required plenty of idea juice, so we had a good time and we hope you enjoy it. Thanks for your support! Ten new songs from the double-D-6-9 that continue to meld a variety of musical influences. This album packs in plenty of Marshall-amped guitars, funky rhythms, Hammond organ, horns and beefy bass, along with some stylistic twists and turns (like the surprising interpretation of a Billy Joel song in the drunkdude stylee). As always, we enjoyed ourselves tremendously while creating this record, and we hope you find something to enjoy here yourself. Thanks for your support! Yes, it’s true: eight years in the making (give or take). Hundreds of hours in the studio. Millions of crushed aluminum cans of idea juice. CRT burns on our eyes and ringing in our ears. We did it all so we could bring you this frothy cocktail of rock and funk and reggae and ska and… well, whatever was rocking us at the time. We hope you enjoy listening as much as we did making it.